The original Palmer's Cocoa Butter Formula moisturiser! A unique solid formula that contains concentrated Cocoa Butter along with Vitamin E to soften, smooth and relieve rough, dry skin. he original Palmer's Cocoa Butter Formula moisturiser! A unique solid formula that contains concentrated Cocoa Butter along with Vitamin E to soften, smooth and relieve rough, dry skin. 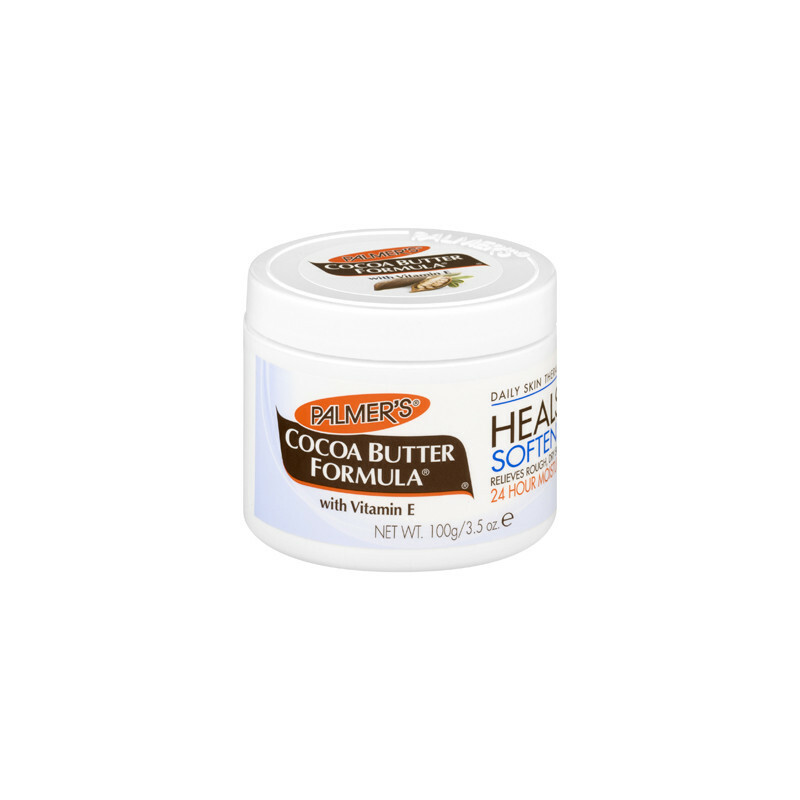 Palmer's Cocoa Butter Formula Original Solid Formula, made with pure Cocoa Butter, enriched with Vitamin E, in a soothing emollient base, heals and softens rough, dry skin, helps smooth and blend unattractive marks and scars and tones skin. It is ideal for deep moisturization, including overnight treatments and widely recommended for stretch marks during and after pregnancy. A rich natural moisturizer that leaves skin soft and silky, transforming even the roughest, driest areas into buttery soft skin. A powerful anti-oxidant that helps reduce the appearance of scars, stretch marks and imperfections on the skin, giving a more even and toned appearance.